Sometimes I feel like I don’t have it in me. To speak in front of others. To become every day someone new. We are being asked to do so much. It feels very machinery. Robotic with an AI brain. Almost like a factory of the future. It’s tiring to be human this way. Unless of course you escape in the middle of nowhere, with some land. Where you can remember what it was like to just hear yourself without the noise of the machine. But all of the speed around me makes me feel that I am not fast enough. Smart enough to keep up with everyone else. Lately I heard the noise of the machine, louder. So I turned it down. I don’t know how to say this without sounding wrong but I hope I never find big success. Even the thought of succeeding makes my heart palpate. So where does that leave me? I am on my way to finding a big piece of land in Texas. Our house here in California goes on the market next week. We will be moving mid June. Probably a road trip with the dogs. Once there, I will continue to write, teach, speak and create but with one thing in mind. My work is not my life. It is just my work. First I do my life. Then I do my work. And not fast. Not loudly. Somewhere in the middle of the country on a farm with space to see the sun rise and set. I am starting to like myself maybe for the first time ever. Just a woman with love for herself, her family and all the people she wants to help with her words. Oh sweet life. I have missed you. PS. I have such big news to share with you. A big study of Life Reentry has been funded and is about to begin at the Kessler Foundation. This has been a big dream come true. One day Life Reentry will find its way to your local church, community and hospital. We are making big strides. 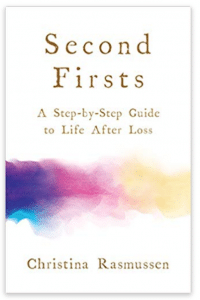 Pre-order the new edition of Second Firsts! 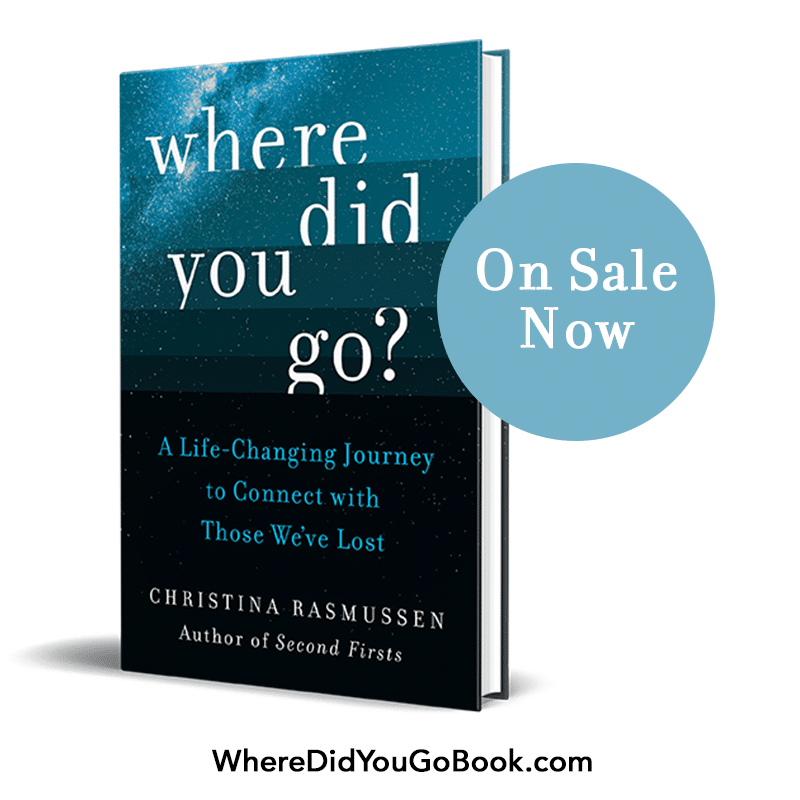 Christina Rasmussen is an author, speaker and social entrepreneur who believes that grief is an evolutionary experience required for launching a life of adventure and creative accomplishment.